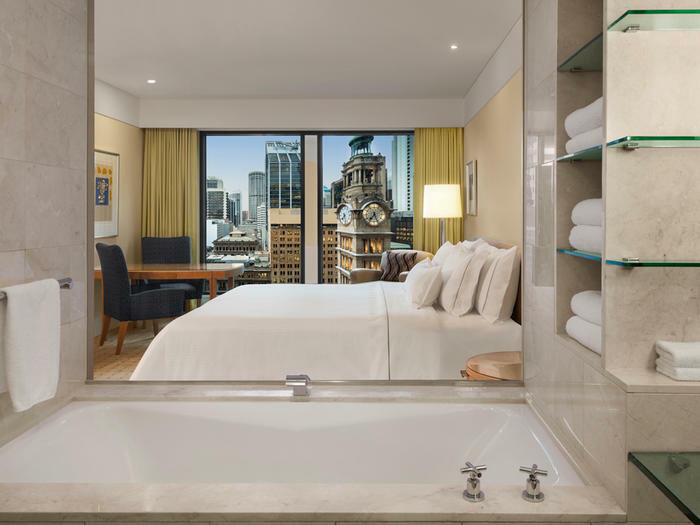 Soaring above the city on the 31st floor of The Fullerton Hotel Sydney, our extraordinary Martin Place Suite is a true 5-star oasis, with floor-to-ceiling windows showcasing breathtaking Sydney views. 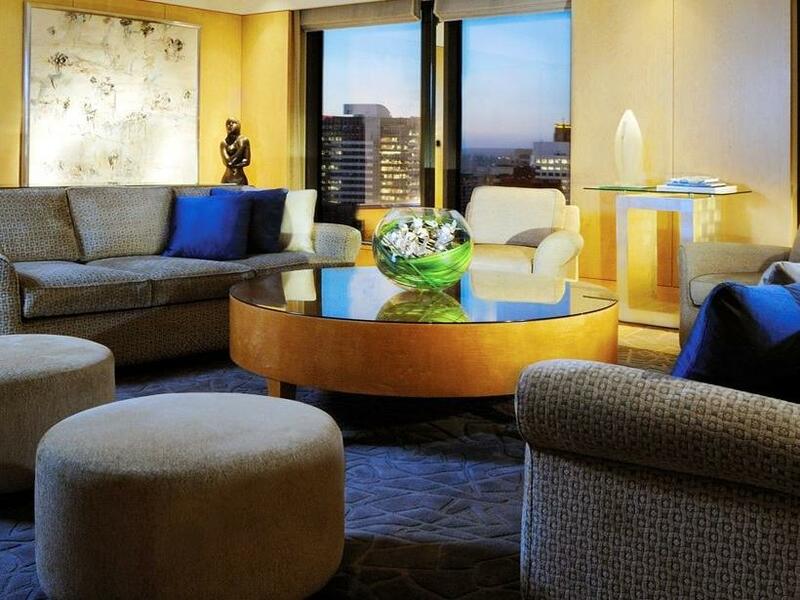 Dotted throughout the suite are unique art pieces and other luxury appointments; a four-person dining table and a kitchenette with a full-size refrigerator and microwave enable guests to enjoy in-room meals during their visit. Those in Sydney for business can make use of a separate study. The suite also features a mini bar, which can be filled upon request. Within the bedroom is a comfortable king bed, a flat-screen TV and an en-suite bathroom boasting a soothing deep-plunge tub with spa jets. The bathroom also includes a shower that can be converted into a steam room, as well as luxury bath amenities, soft towels and bathrobes. 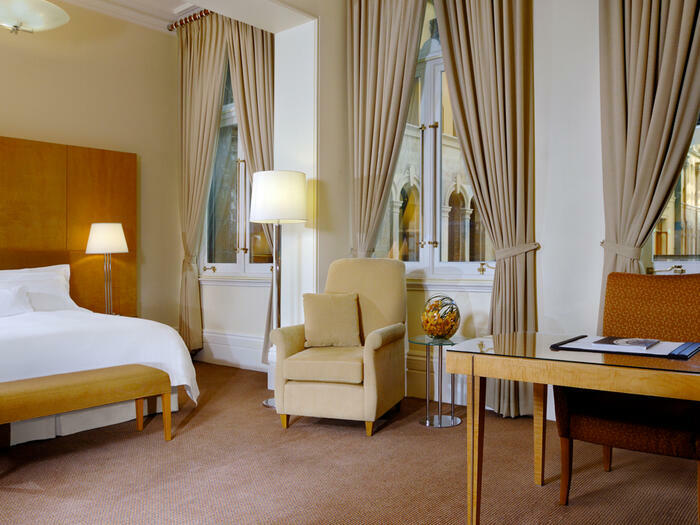 These suites can be reserved with an interconnecting Executive Deluxe King Room to create a two-bedroom suite. 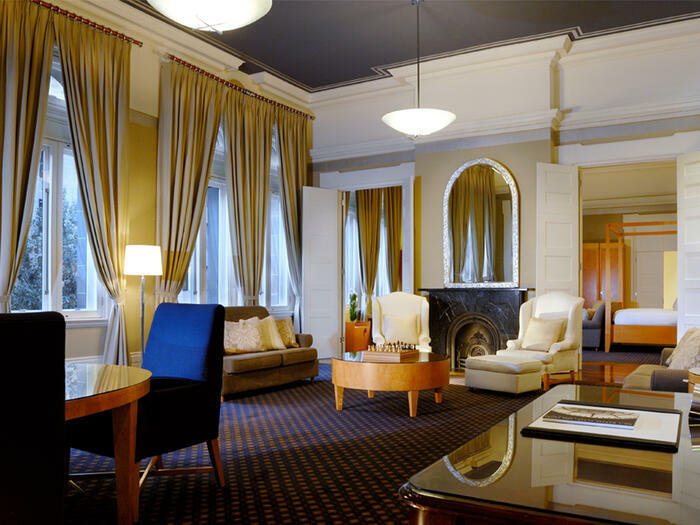 Guests in our Martin Place Suites enjoy complimentary access to the exclusive Executive Lounge.